THANK YOU GLOUCESTER DPW AND HUGE SHOUT OUT TO PHIL CUCURU AND MIKE TARANTINO! THE NEW FOOTBRIDGE LOOKS ABSOLUTELY FANTASTIC! Phil and Mike have been doing the finish work the past few days and a deep layer of sand was added to the beach end for safety sake. 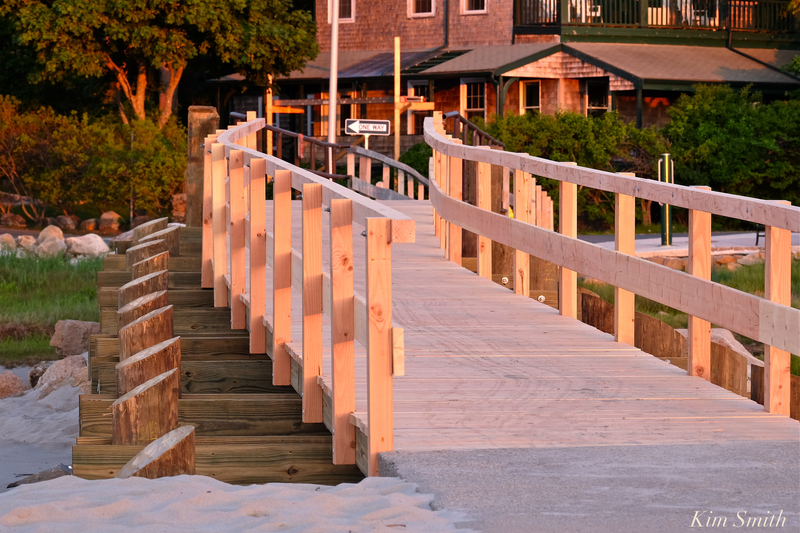 I think it looks super sharp with the diagonal cuts across the pilings. 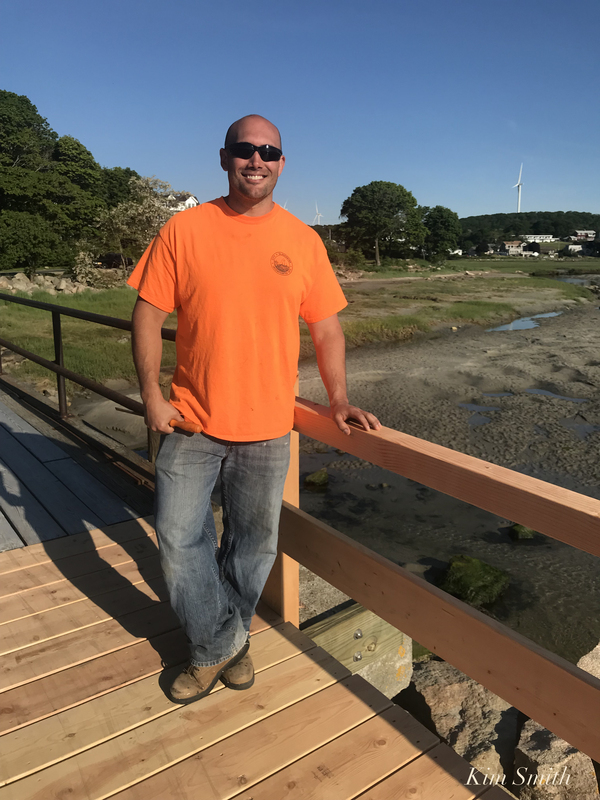 It’s been a really tough spring for the DPW after the extensive damage caused by back to back nor’easters, but getting the bridge completed before the summer crowds was made a priority. Thanks so much to Phil and Mike for working though the weekend. If you see these guys around town, please tell them how great the footbridge looks! 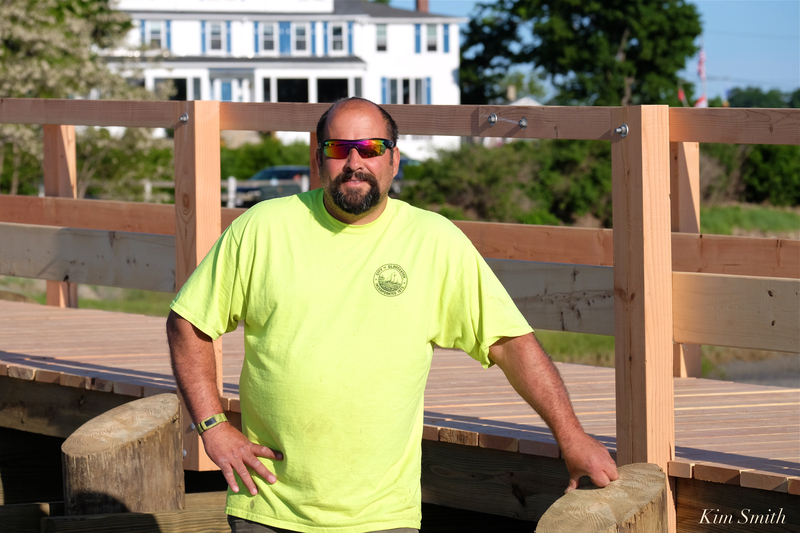 This entry was posted in Good Harbor Beach and tagged Gloucester DPW, Good Harbor Beach Foot Bridge, Mike Tarantino, PHIL CUCURU on June 12, 2018 by Kim Smith.